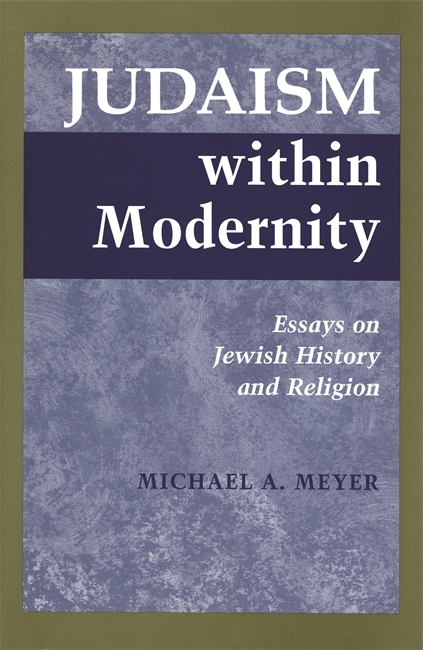 Meyer exhibits immense breadth and complete mastery of the modern Jewish experience in Europe and America. . . There are gems to be found here. Judaism within Modernity begins with an exploration of Jewish historiography and the problems of periodization in modern Jewish history. In these beginning essays we see the range of Meyer's thinking about what constitutes modernization and how to determine its beginning. He discusses the role of history in defining identity among Jews and suggests that finding an adequate paradigm of continuity is essential to the historian's task. The essays in the second section focus on the Jews of Germany. Here Meyer writes about the influence of German Jews on Jews in the United States, comparing the historical experience of the two communities. A third section deals with the European Reform movement, which brought a liberal Judaism to the majority of German Jews. The essays in the final section explore Judaism in the United States. In particular, they show how reform Judaism and Zionism were able to reconcile their initial differences.